​In 1963 graphic designer (and novelist) Raymond Hawkey created a fresh new look for the Bond novels. The uniform design with minimal graphics contrasted with the “painted” designs of the previous series. 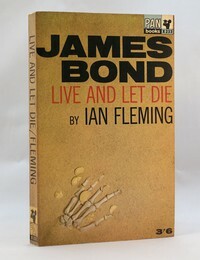 The consistent use of modern fonts helped the series have a uniform look as did having “JAMES BOND” in large bold text at the top of each book. Elements of this design can be found in the Pan “Model” series of the 1970s and in the Panther / Triad series of the 1980s. Millions of copies of the Bond paperbacks were printed in the “Hawkey” series and for many is the definitive paperback series, indeed for many people of a “certain age” it was their introduction to reading James Bond novels. All editions have X233 to the spine. 11th printing 1963. Copies found with 3’6 printed to front and unpriced. Some copies of the 11th printing have also been found with the earlier yellow 007 band “painted” cover design. Note - from the 15th printing onwards most copies have 6’- AUSTRALIA printed on the back in addition to any pricing on the front, exceptions noted below. 60c printed to front covered by a Pan logo sticker for the Australian market. Note no Australian pricing to back cover. Note that the 21st printing with the Hawkey cover seems to use a darker ink than the other printings. 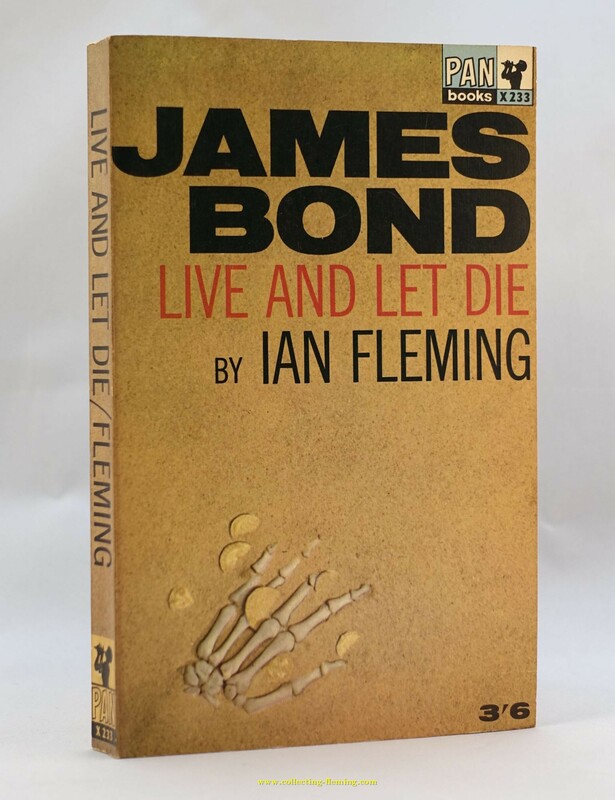 As all 14 bond books were published in this uniform series, copies are plentiful so they make an ideal first set of books for the new collector. From Thunderball onwards the 1st Pan printings were in this Hawkey series, surprisingly On Her Majesty’s Secret Service 1st Pan edition is perhaps the most difficult to find / most valuable of all the Pan paperbacks (especially without any price to the front). The main reason for this is that the 1st four printings were export only.